For simple address validation and auto-completion Flobot uses Postcode Anywhere the leading address product on the market. It makes inputting and validating addresses a breeze and saves hours on the telephone with clients. One of the big problems with sending quotes and invoices through email is aggressive spam filters. You can never be sure they get to the correct recipient or just languish in a junk folder. Pretty disappointing after you've spent all that time on the appointment and building a careful estimate and the cause of many a lost sale. Flobot uses the PostMark system which we have found ensures over 95% of all email gets delivered to the inbox. It will pay for itself within 10 emails. Sometimes you need to inform your client immediately that an appointment has changed or that their quote is ready for viewing or an invoice ready to pay. And you need to send a quick message to your contractor to say a meeting is cancelled. And the best way is still SMS text messages. Instant, secure and robust. Flobot is one of the only platforms to use SMS messaging. 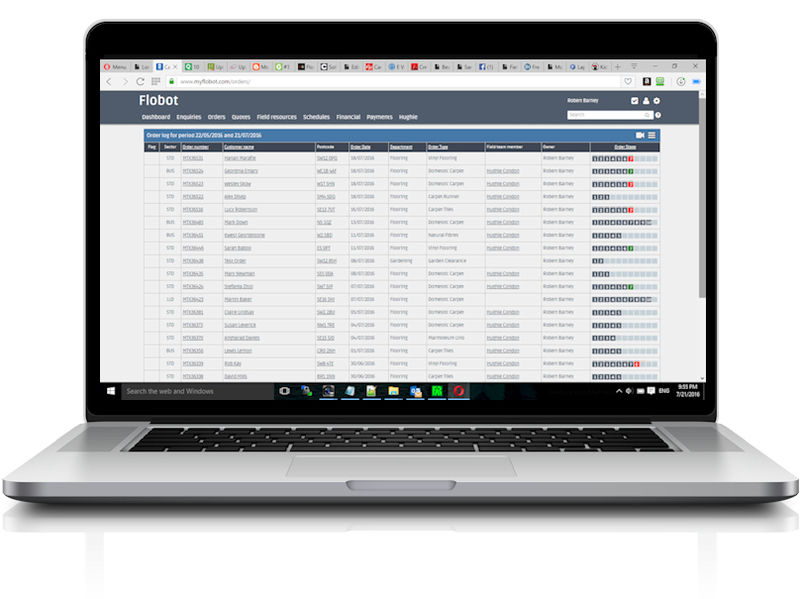 Flobot is one of the only platforms to have an integrated payment gateway. Sage Pay's online payment gateway allows you to accept debit and credit card payments securely and easily. It is probably the most reliable and respected payment gateway on the market.